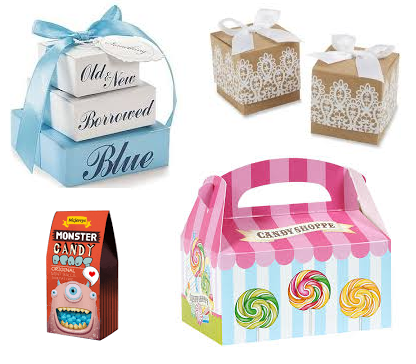 Candy boxes are mostly used for gift items, to present candies or chocolates in a fully customized good looking box. These wholesale candy boxes are designed in a way that these look fantastic when presented to someone as a gift or favor. These days, candy packaging are used a lot for wedding favors or used as a giveaways on a birthday party or any other family function. Custom Candy Boxes decorated with gold foiling, embossing and spot UV coating looks really good. A personalized picture and message is also added to give these boxes a personalized party theme look and to impress guests! Candy boxes those are used as wedding ceremony favors have tuck top with auto bottom so that these are easy to load and assemble. Usually on wedding functions, these are designed with full gold foil background or gold foil cardboard along with custom black or pink/red color printing with personalized message from bride and groom. 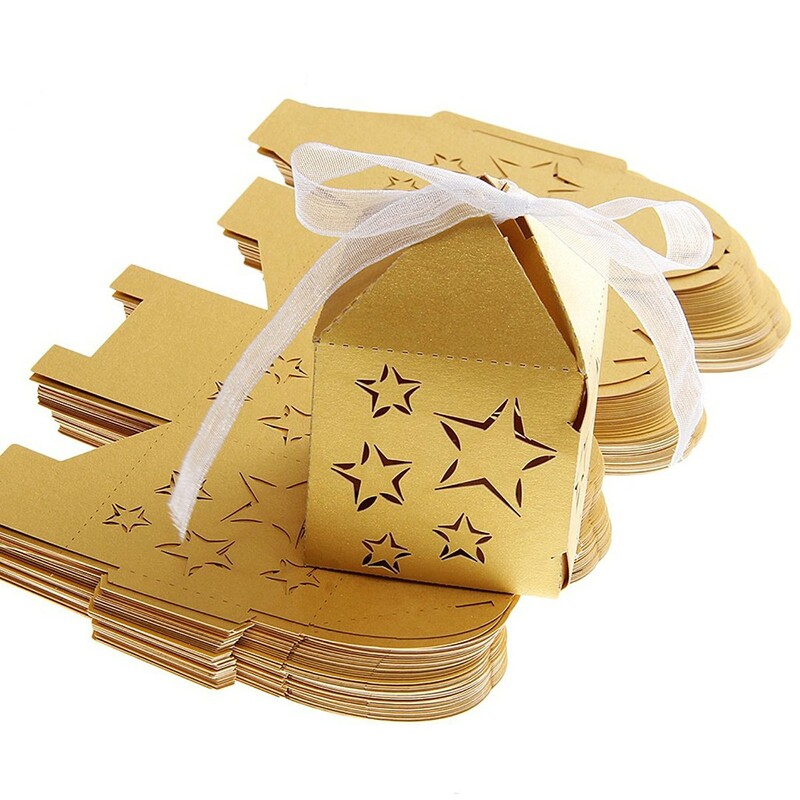 Stars and pictures can also be added along with colorful ribbons to close the box in a most beautiful manner. There are many other ways to decorate the wholesale candy boxes for wedding favors. Foil stamping in red, green and orange colors with gold background looks really cool and the personalized message stands out in these colors on gold ground. Picture of the bride and groom can also be embossed on the boxes to give it classical look! Our custom candy boxes comes in two piece style, Tuck top auto bottom style and gable style. Most commonly used style is the one with tuck top & auto bottom. These boxes don’t require any gluing and are pre-glued and ships flat, just need to open and pop the boxes and load the favors inside. Red or pink color ribbons can be used to decorate the box. Prices for these wholesale candy boxes varies from style of the box and quantity you want to order!